It’s Vigo’s birthday, He turns 2 today. I am preparing to give birth to my second son in just about one month, so I am finally going to share my first born son, Vigo’s birth story. 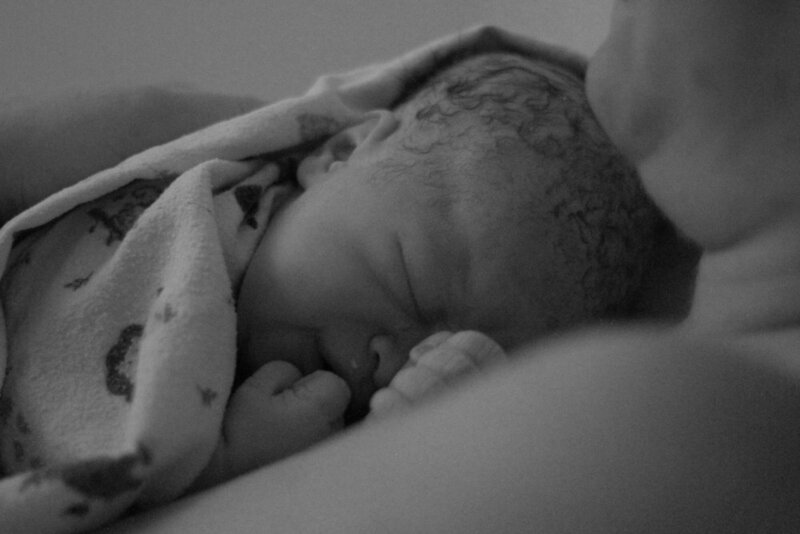 I know we don't often hear beautiful natural birth stories. Which is sad. The birth stories that are shared the most are the traumatic, long ones that end with interventions. But I am so pleased to share our beautiful birth story with you. And to be honest, I am so glad that I researched, practiced and envisioned giving birth before embarking on the adventure. I'm also so glad that I had the midwives that I did because they really fought hard to keep our birth adventure natural. I want to say this from the start. I know that every birth experience and every woman is different. I know also that many complications can happen and things can get critical fast. But I also know that we women have been giving birth naturally and calmly for centuries and that intervention should be an exception not the norm. I'm so very grateful that we were able to have a natural and calm birth. I pretty much had a dream birth and was able to stay calm and relaxed through most of it. So it began…It started slowly and was relaxed. I had been having pretty consistent and comfortable contractions for about a week and a half before our baby Vigo was born. A few days before he joined us, my cervix was already 3cm dilated. My comfortable contractions had been doing good slow work. I was still able to sleep at night, and was comfortable enough to go on long walks to try to induce harder labor. My mama joined us for the birth. So did my friends Amy and Julia. Our baby was 10 days "overdue" when the midwives said that if I wanted to avoid a hospital birth, I would have to drink a cocktail with castor oil in it to induce labor. It's hard to get doctors to sign off on a home birth or birthing center birth so long after my estimated due date. So on Monday the 16th of January, I drank a disgusting cocktail with castor oil, apricot juice, champagne, and cream. Castor oil is non-digestable so it ignited a flushing effect, to clear my digestive tract and induce stronger contractions. It worked. Within 3 hours I finally went into harder labor. Yay! Vigo was coming to join us today! The midwife sent us for a walk and I had to stop every 7 minutes or so to breath through the surges (contractions). We came back after an hour and I had some pretty strong back pain, so I got into the birthing pool that they have at the birthing center. It relieved some back pain and helped me to relax. After a few hours of laboring in the pool, Dominik coaching me to relax my whole body and let my uterus do the great work, I got out of the pool. Our midwife checked my progress and said that my cervix was fully dilated and she could feel that part of the amniotic sac was pressing out of it. I lay on the bed on my side. I told our midwife that I had the urge to push. But it was so early in labor, how could I already have this urge to push. She said if I feel I need to push, I should. So I did, and my water broke like a horizontal geyser all over the midwife's and Dominik's arms. It was over 2 liters of water, and shot about 2 meters out. Haha. Our midwife said that the excessive amniotic fluid was most likely what was keeping the strong labor from starting. The amniotic sac was acting as a pillow around the baby, so his head couldn't fully descend into my pelvis and ignite labor. So once my water broke, the surges got stronger, but baby's heart beat got weaker. We discovered that the only position that would stabilize the baby's heart-rate was if I was on all 4s with an exercise ball under my chest. This position put a lot of strain on my back. I begged to try a few other positions, but the midwives (now two) insisted on me laboring in this position and that between surges I was to breath deeply into my belly to give the baby more oxygen. I later found out that the baby's heart-rate was quite critical and it looked like I would have to be transferred to the hospital, and they thought it would end in C-section. But with their coaching and Dom's reminding me to breath deeply into my belly, we were able to continue there. I was pushing during surges and relaxing and breathing during the breaks. This is the wonderful thing about labor. It is hard work and then a break. Hard work and then a break. I also was envisioning my body doing the work and the baby moving down and making progress. I could also feel as he moved into my pelvis and back a bit during the breaks. It was an amazing experience. I kept on talking to our little baby out loud saying how excited we were to meet him and that he's doing such a good job working with me on this journey. After an hour and a half of hard work the midwives said I should reach down and feel my baby. I could already feel his head. I lost it, with happy tears! He was almost here! This gave me so much motivation because I could really feel the progress. It wouldn't be long before we met him. For about half an hour I had several strong surges and pushed hard during each one and rested hard between them. I liked this part of labor because I could feel me stretching and him moving down so much. It was the most difficult but the most rewarding. I felt so strong and so connected with the baby and with Dominik. I kept on talking to my baby, saying how happy I was he was finally coming to join our family. Then one strong push and his head was out. Rested waiting for another surge. The last surge I pushed so hard and his shoulders and body came out. I reached under me and picked up my baby. And I put him to my chest. We were a family. The three of us. It felt so natural and wonderful having his warm little body against mine and mine against Dominik's. I don’t know if I have ever felt more close to nature and as wild as I did on the day of Vigo’s birth. He was healthy and beautiful and we had all worked so well together. I was so proud of us and so happy to finally meet this little person who had been with me for the past 9 months. We all cried together. It was just wonderful! I was in heaven. I could not believe this was our little baby. He was finally here. He's ours. He's a combination of Dominik and myself. We are all he knows and he has found home in us. Thank you Julia Sentman for the beautiful photographs. We will treasure them for always.